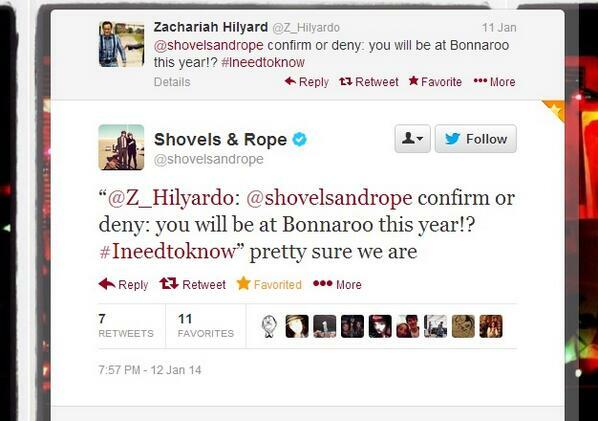 The Bonnaroo 2014 Lineup will be announced on February 19th, but in the meantime you can get your Roo fix by checking out the artists on this list of confirmed, rumored and expected artists. Related Post: Where to find Bonnaroo tickets? Following the format of the Coachella 2014 predictions, I compiled this list by analyzing the tour schedules of hundreds of bands, reading countless tweets, combing through the Bonnaroo forum threads, watching the Bonnaroo Reddit page and by receiving insider tips from fans like you! 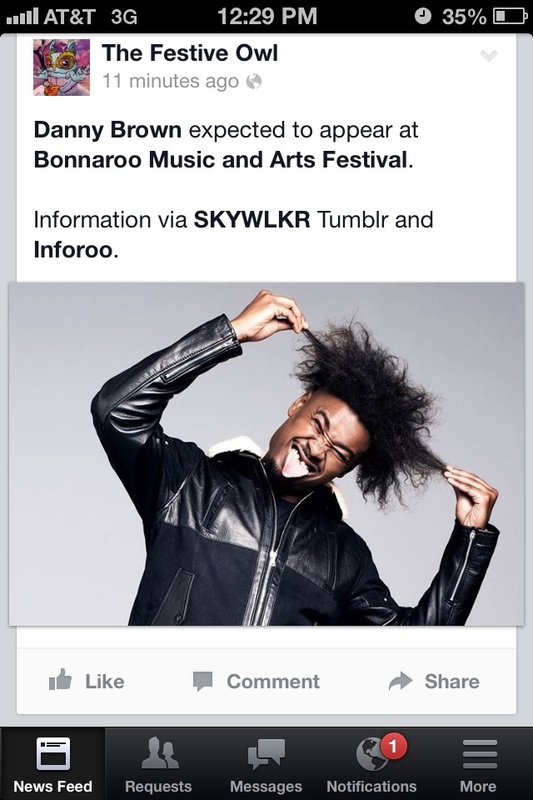 (If you have inside information on an artist or band that will be playing Bonnaroo 2014, contact me here). Bonnaroo fans rejoiced when the Coachella Lineup was announced on January 7th with a reunited OutKast as Friday night’s headliner. Although Coachella and Bonnaroo typically do not share headliners, OutKast’s confirmation to play 40 music festivals in the spring and summer makes them a likely headliner. The Atlanta-based duo of André 3000 and Big Boi will be in New York the weekend before Bonnaroo for a headlining gig at the Governors Ball Music Festival, so a trip down to Tennessee afterwards is expected. Sir Elton is in the midst of a world tour and comes stateside on March 13th for a show in Dallas, Texas. From there, he plays a few shows in Louisiana before taking a month-long residency at the Colosseum at Ceasars Palace in Vegas, which ends on April 26th. Elton’s next show after Vegas is scheduled for June 21st in the UK, meaning he has a gap that seemingly accommodates a Bonnaroo appearance for June 12 – June 15. Another rumor circulating is that Billy Joel will join Elton on stage (they played a few shows together in 2004) and Billy Joel’s tour dates make this rumor that much more possible! Elton John has never played at Bonnaroo (or Coachella, or Lollapalooza, or Outside Lands) but this could be his year. Let’s hope it is! Like Elton John, Prince has been on the wish-list of Bonnaroo fans year-after-year but has never made an appearance. But it looks like the stars are aligning for 2014. Prince is assembling a band and creating a show for his headline appearance at the Essence Festival in New Orleans in early July, which would mean the same band could be made ready for Bonnaroo only a few weeks earlier. Prince has played festivals before, he was crowd favorite at Coachella 2008. Will we be seeing him on What Stage this year? Kentucky rockers Cage the Elephant played Bonnaroo in 2009 and are currently touring the country promoting their new album “Melophobia.” Their confirmed appearances at Coachella and Firefly means that a spot Bonnaroo 2014 lineup is probable. Need even more evidence? Cage the Elephant drummer Jared Champion hinted at playing Bonnaroo in a Reddit AMA. As far as the festival circuit goes, Sleigh Bells are scheduled to play Coachella, Firefly and the Governors Ball. 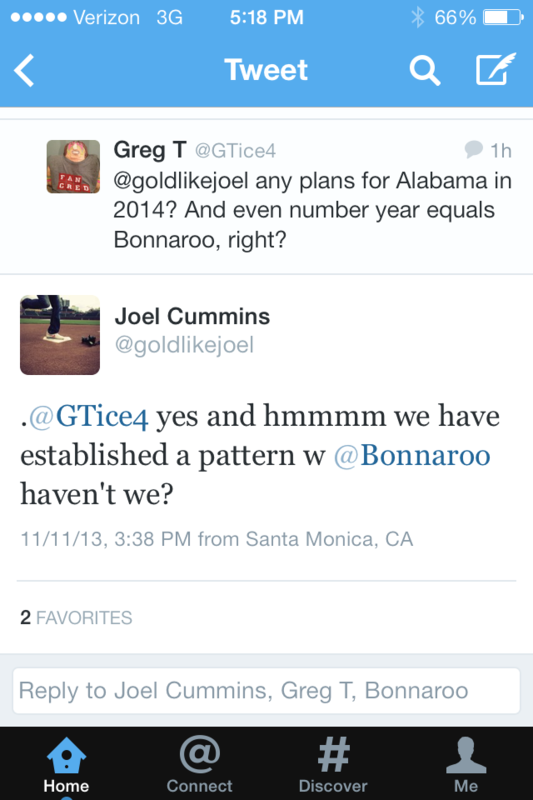 All signs point to Bonnaroo 2014. On January 16th Bonnaroo released their 4th lineup clue on their Instagram account. The picture shows a red and blue birthday hat on a tiled floor. Could this be a reference to “The Birthday Party”, the band that brought Australian rocker Nick Cave into the limelight in the 1970s? Nick Cave would be a great addition to the Bonnaroo lineup, and he’s never played the festival before! The Bonnaroo forum community seems to believe he will be there despite the face that he’s absent from the lineup for Firefly or the Governor’s Ball. Subscribe to the Bonnaroo Spotify Playlist and follow me on Spotify for up-to-date artist predictions. If you have an insider tip, contact me or leave a comment below. Who would you like to see at Bonnaroo this year? Next article6 Reasons Why I go to Coachella and you should too! Considering Thee Oh Sees have taken an indefinite hiatus that sounds like it could be forever/a long time…you might wanna take them off your probable acts list.